In the fast-paced world, emergencies can happen at any place or time. When a disaster strikes, you won’t have the time to call 911. In fact, in major disasters like hurricanes or earthquakes, emergency services usually cannot respond to every complaint. And surely you wouldn’t want to be left in the dark. 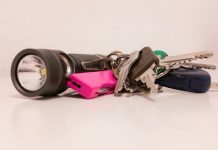 A survival flashlight might not seem much in case of everyday use flashlights, but in an emergency, the best survival flashlight can make all the difference. Survival flashlights are a bit different from the normal ones as they act as backup flashlights. They usually have better reliability in terms of battery life and structure. So how to choose the best survival flashlight? 3 Buying Guide: How to Choose a Good Survival Flashlight? 3.2 What’s the Battery Type? 3.3 What’s the Lumen Output? 3.4 What’s the Beam Type? 3.5 Does the Flashlight Come With Multiple Brightness Settings? 3.6 Is it Weather Proof? 3.7 What’s the Material Used? 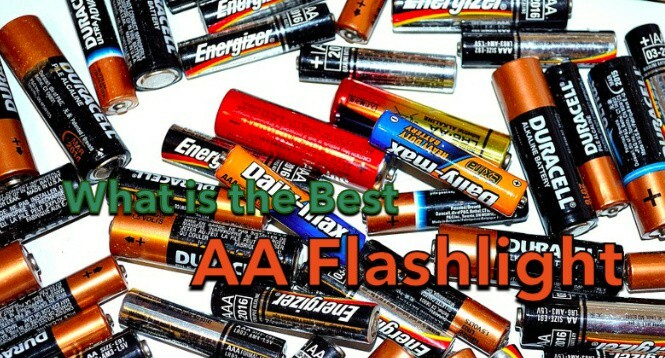 In this guide, we have listed down the best survival flashlights we have reviewed and tested. Read on to find out the top products available in the market for 2019. The SureFire G2X is a well-built flashlight which is constructed using Nitrolon and anodized aluminum. It is compact and sturdy and uses LEDs for high efficiency and brightness. The Nitrolon body provides resistance to corrosion, abrasion, and scratches. Alongside that, the flashlight has a very comfortable grip making it easier to use in emergencies. The flashlight uses one CR123A battery to work and emits a beam of 600 lumens at the highest setting. However, a low lumen setting of 15 lumens is also present which has an extended runtime. Another great feature is that the product is compact and lightweight with a length of just 4.3 inches. 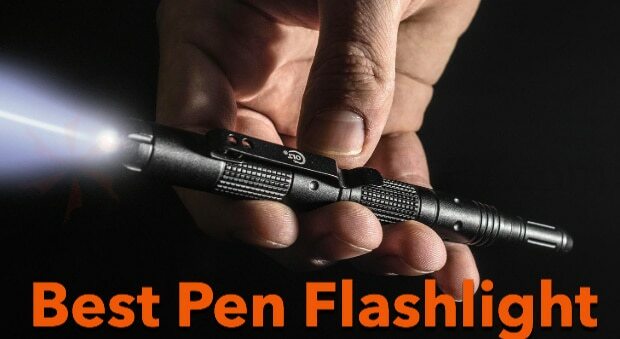 All these features make this flashlight an amazing contender for the best survival flashlight. The Lightstar 300 is a well-built survival flashlight that is made especially with a recessed tail cap switch. This feature makes using the flashlight very comfortable and easy. In addition to that, the product has two brightness levels that you can adjust according to your needs. On the highest brightness level, the product gives out a 300 lumens output. It runs on two AA batteries which are included in the package. Furthermore, the Lightstar 300 comes with a wrist strap and a pocket clip making it super convenient to carry around. 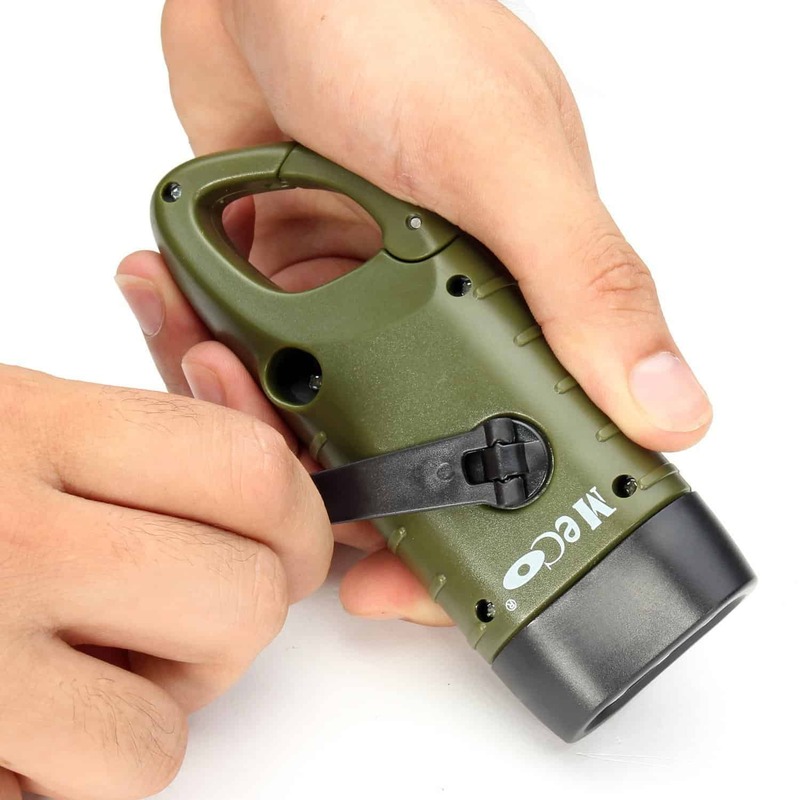 The most noteworthy feature we find on this flashlight is that its beam pattern is uniform and wide spill which makes the light beam emitted by this survival flashlight much more useful than the others. Additionally, this flashlight uses LEDs instead of halogen lamps which makes the battery life for this product last longer. Also, did we mention that the product is water resistant? Surely the perfect product for your survival kit. The Coast HP1 costs less than 10 dollars but delivers some of the best results. This 190-lumen flashlight is made from high-quality aluminum. It is lightweight and compact which makes it super convenient for everyday use. It works using one lithium-ion battery and offers a runtime of one hour and fifteen minutes. 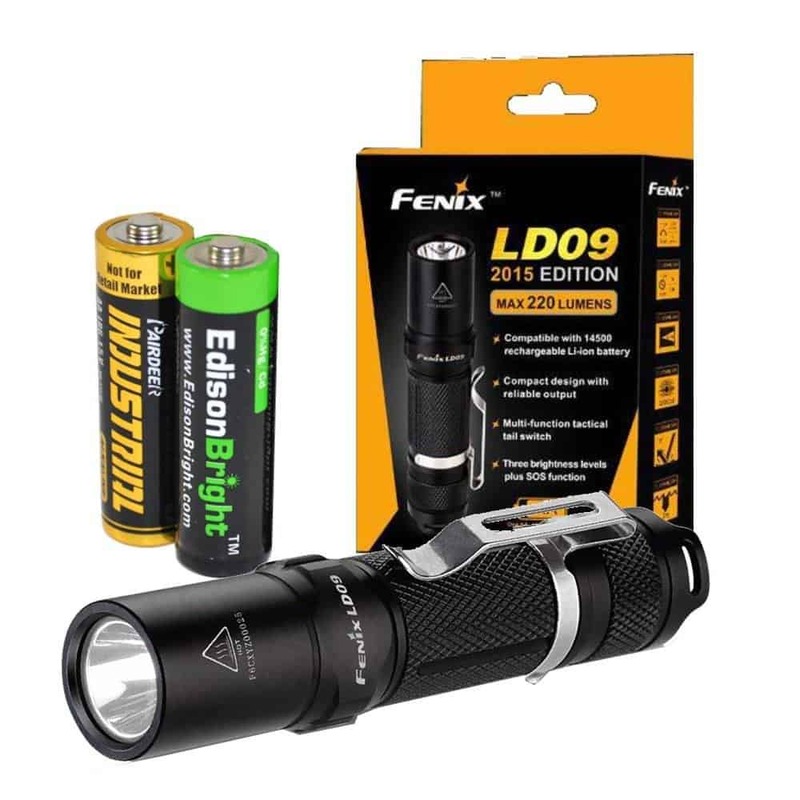 However, if you can’t get your hands on a Li-ion battery, you can still use the flashlight using AA batteries or NiMH rechargeable batteries. Furthermore, the product has a focusing system that creates a powerful beam. It also comes with a pocket clip, therefore, no need to worry about carrying the flashlight. The most noteworthy feature of this flashlight is that it has a slide focus. The slide focus allows you to shift your flashlight mode from the spotlight to floodlight with just a simple push or pull of your thumb. This allows you to handle the flashlight with only one hand and continue your other activities with the other. Perfect for emergency situations. The LD09 is a powerful yet super easy to use 220 lumens LED tactical flashlight. The flashlight comes with multiple features, making it great for its prize. The product is compact and lightweight which makes it the ideal choice for work or even for outdoor activities like camping or hunting. Furthermore, the flashlight has a digitally regulated output which helps in maintaining constant brightness. Fenix LD09 comes with a tactical tail switch that allows you to choose between constant-on, momentary-on, and output selection. In addition to that, the flashlight is water resistant with a rating of IPX-8. This means that the flashlight can withstand a depth of around six feet for 30 minutes. 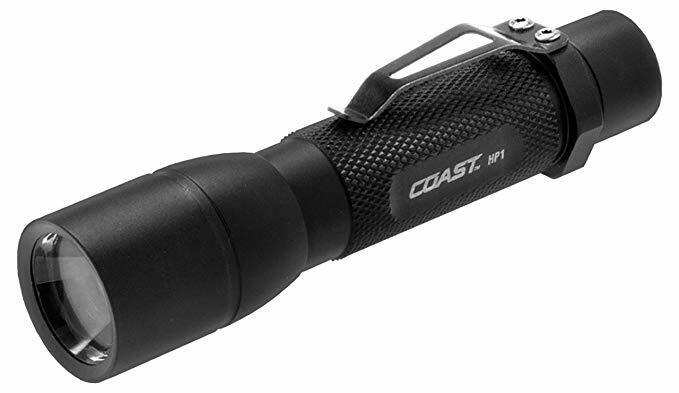 If you’re looking for a more powerful survival flashlight, the Coast HP17TAC is the perfect choice for you. This flashlight is extremely bright and gives an output of 615 lumens at the highest level and around 64 lumens at the lowest one. In addition to having such a bright light output, it also has an amazing beam throw as it gives off an 882 ft long beam. 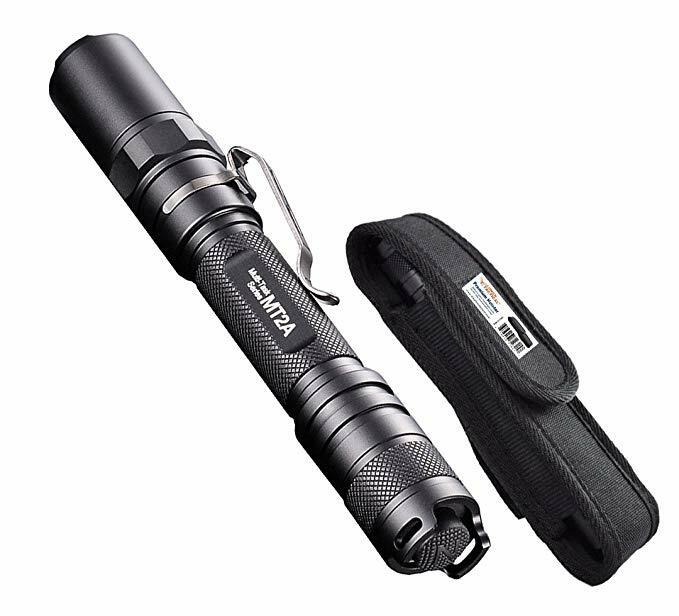 However, the flashlight is quite big when compared to the other flashlights on our list. But it’s big size allows it to carry a larger battery supply. Which basically means that this product has the best battery runtime. It can operate at the highest setting for over 15 hours and on the lowest setting for more than 51 hours. Furthermore, the big size allows you to use the flashlight as a self-defense tool. It weighs at one pound and is around 13 inches long. Lastly, the product uses 3 D size alkaline battery which makes looking for replacements relatively easier. 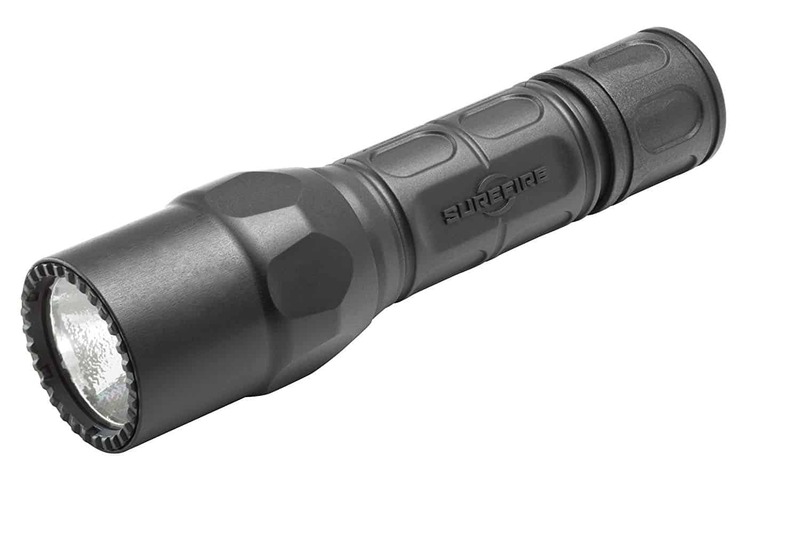 The SureFire E2D defender is the ideal self-defense survival flashlight. 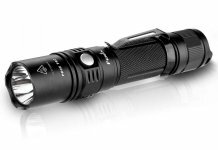 It is a dual mode flashlight that offers different light outputs. At the highest setting, it gives an output of 200 lumens and can easily be reduced to 5 lumens for energy efficient applications. In addition to the different light, modes offered the flashlight has a great battery life too. It has a runtime of around 1.9 hours in the high mode and 76 hours in the low mode. Furthermore, the product comes with a lock mode for its switch. This prevents from accidental activation which keeps your battery safe from being used up. For the self-defense part, this product has a crenulated front bezel and a scalloped tail which is designed specifically to magnify the force of a strike if the need arises. This makes the flashlight a fantastic multipurpose tool not only for lighting up an area but also for defending oneself. Lastly, the E2D defender uses two lithium-ion batteries to work. The LifeLight LED flashlight is the best emergency flashlight we’ve come across. The flashlight has three LEDs which have an extended life span. The product itself is powered by a rechargeable Lithium-ion battery. However, in case you’re at a place where there’s no electricity, the flashlight can generate its own power using a crank dynamo. The product weighs at only 0.62 pounds and measure around 10 inches and offers a multitude of features. It has a seat belt cutter which can be used to free yourself from an emergency situation. In addition to that, it also comes with a safety hammer that can be used to break emergency doors. Furthermore, with a high capacity charging input, the product can be used to charge your phone too. The product has a magnetic body which can be used to mount emergency flashers on. Lastly, the product has a compass and a red light on its tail end. The red light can be used to draw attention in case of an emergency. This survival flashlight is powered using solar energy. Alongside that, the flashlight also uses a hand crank that makes use of a carabiner dynamo. Therefore, this flashlight is perfect for use in those emergency situations when you don’t have a battery supply. However, this doesn’t mean that the flashlight doesn’t use batteries at all. It has an in-built rechargeable battery which can be recharged using solar energy. Furthermore, the flashlight is very lightweight and small. It weighs only 0.25 pounds and has a length of around 5.9 inches. It is also one of the cheapest survival flashlights available, costs less than 10 dollars. It comes with a carabiner clip which you can easily clip onto your backpack or pocket. However, due to the flashlight being built specially for emergency purposes it doesn’t offer different brightness levels or modes. The Nitecore MT2A is an LED flashlight that uses commonly available 2 AA batteries to work. It gives off a maximum of 345 lumens. In addition to that, the product’s bright and focused beam reaches 498 feet. It offers 4 brightness levels as well as SOS and strobe modes thus making the product useful for a variety of purposes. Furthermore, the product also has an integrated memory function which remembers your preferred light mode and switches to that mode when you turn the light on. In addition to all that, the flashlight uses a tail switch to operate the flashlight. And to switch between the various modes and brightness levels, the user can twist the head of the flashlight. Lastly, the flashlight is also supplied with a pocket holder. 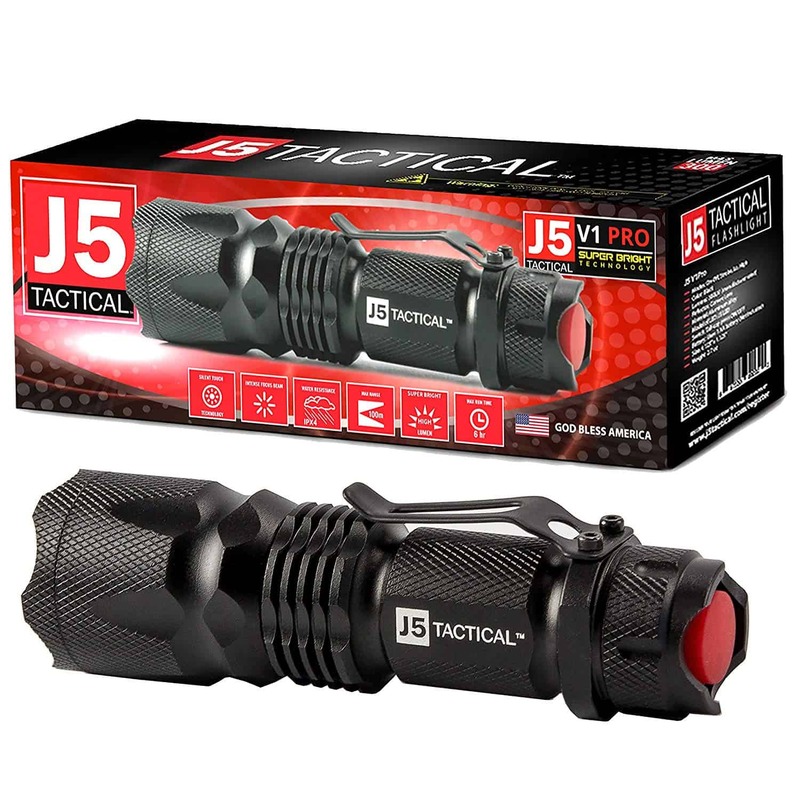 The J5 tactical flashlight is considered to be one of the best tactical flashlights out there. Although the flashlight doesn’t offer a very high lumen output, it does offer an excellent beam throw. The beam has a distance of around 600 feet. Combining this beam throw with the lumen output of 300 lumens, it’s actually a good deal. In addition to that, the product offers three different light modes which include high, low and strobe. Furthermore, the flashlight also has an adjustable focus with which you can easily adjust your beam. It uses a standard AA battery while you can also operate it using a rechargeable one. The product is constructed using aircraft grade aluminum and can survive a 9-foot drop. It is also water resistant and can withstand being submerged in water for 30 minutes. Buying Guide: How to Choose a Good Survival Flashlight? A random flashlight lying around your house will not suffice for a survival flashlight. Aside from being a complete failure in the outdoors, the flashlight won’t even last that long. 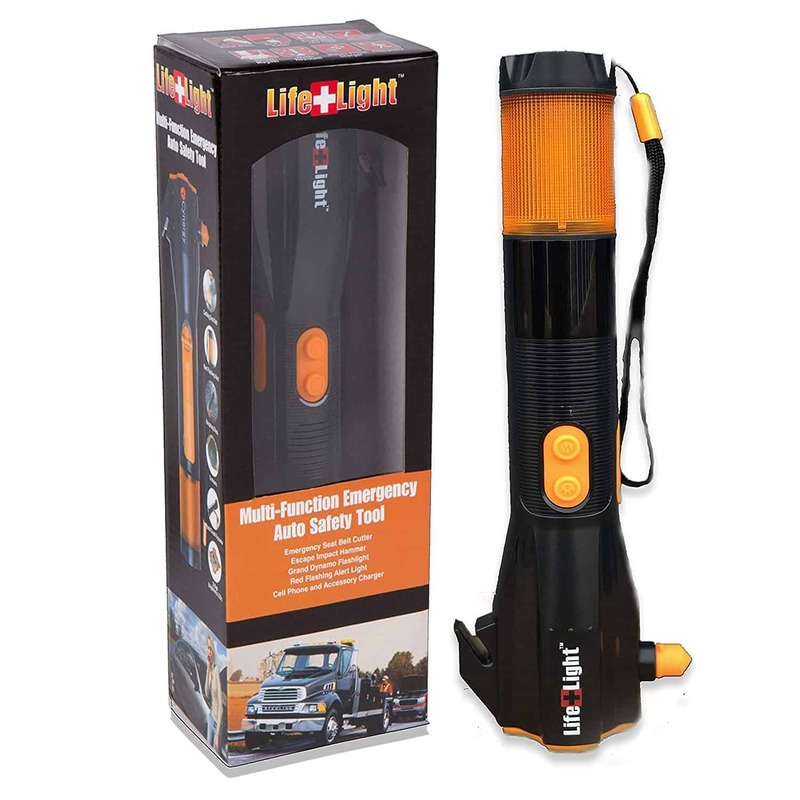 To help you in such emergency situations you will need to find the best survival flashlight. But what is the best survival flashlight? We have compiled a list of all the important factors you should consider before making your purchase. One of the most important features to consider is how much weight and volume you want to give to the survival flashlight in your survival kit? Typically, a good survival flashlight is around 8 inches long and weighs about a pound. Now, using this estimate, you can adjust your survival kit. 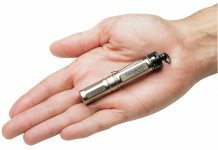 Many people prefer to have smaller survival flashlights, ones that can fit into the palm of your hand. However, if you prefer a bigger one you can go for that too considering you’re ready to carry it and make space for it. A big flashlight can be a good choice if you intend to use it as a self-defense tool for striking purposes. Like other factors, this too depends on what do you intend to use the flashlight for. Survival flashlights are used mainly in emergencies. In such situations, the chances are that power wouldn’t be available. In such cases, you’ll need a flashlight that can work for longer periods of time. For this very reason choosing flashlights that work using AA alkaline batteries would be better. Li-ion batteries are high end and are generally not that readily available. Alkaline batteries are very easily replaceable and generally cheaper. However, do keep in mind that alkaline batteries are not perfect. They can lose power over time and leak battery acid. Therefore, if you do decide to use alkaline batteries, check them regularly for any leakage or corrosion and in case such an issue arises, replace the batteries immediately. 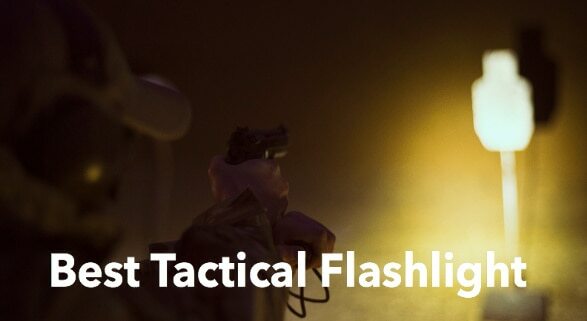 When it comes to survival flashlights, brighter is better. 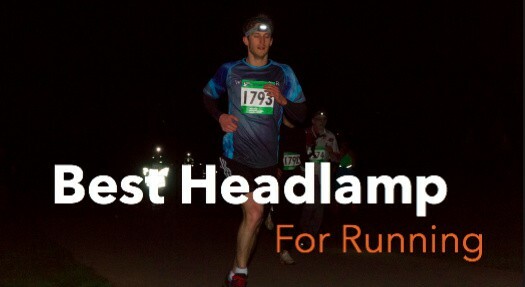 Ideally, you should look for flashlights whose lumen output ranges in between 45 to 150 lumens. You can go for higher brightness levels too but be warned that more lumen output generally means more strain on the batteries. For self-defense flashlights, having a beam of around 100 lumens is essential for blinding any attacker. Having a focused beam and good reflector can greatly increase your light output. Wide beams allow for a large area to be illuminated. But wide beams don’t reach that far. Focused beams, on the other hand, don’t illuminate that much but have an exceptional beam throw. Having an adjustable beam will allow you to get the benefits of both of these features. Keep a lookout for this feature when you’re selecting your survival flashlight. Does the Flashlight Come With Multiple Brightness Settings? Multiple brightness settings can be helpful in saving battery or when you need to either draw or divert attention from yourself. Having night light, SOS and strobe modes can make a lot of difference in emergency situations as they can be used to alert or ward off attackers. Therefore, keep a lookout for this feature when you’re choosing a survival flashlight. With Survival flashlights, you can never be sure of what conditions you might need to use it for. Therefore, it’s best if the flashlight you’re buying can stand up to water, mud, ice, cold or hot weather, as well as adverse weather conditions. Weatherproofing is usually expressed as an IPX rating from 1 to 8. If you require basic water resistance, look for a flashlight that is rated IPX-4. However, if you require a flashlight that can stand being submerged, look for a flashlight that is rated at least IPX-7. Anodized aluminum is generally the most preferred material for your tactical flashlight but is it the best one even for survival flashlights? Anodized aluminum is very sturdy and reliable, but the downfall of metal is that it’s a bit on the heavier side. Aside from the metallic flashlights available, many are made from plastic. Most of these plastic flashlights are quite strong and can stand up to adverse conditions. Furthermore, plastics are non conducting so they wouldn’t get hot or cold in intense temperatures. If you’re using the flashlight for illumination purposes, a plastic one would work perfectly, but for self-defense purposes, a metal flashlight is better. 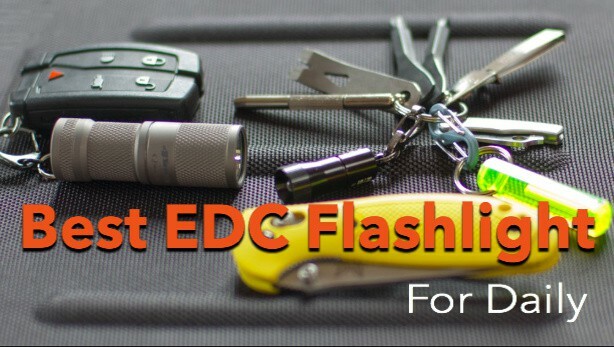 When it comes to survival flashlights, there is a multitude of options available in the market. No matter what your requirements are, read the guide. We are sure you will find the best survival flashlight for yourself. Happy shopping!